According to a new study, Amiloride nasal spray may be a new approach to counter Anxiety attacks. Amiloride — an inhaled form of a high blood pressure medication — has the potential for the treatment of anxiety as well as pain, according to the study published in the Journal of Psychopharmacology. 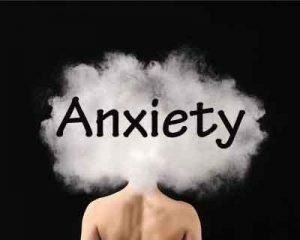 Anxiety disorders are usually treated with different medications such as psychotherapy and antidepressants. Amiloride as a short-acting nasal spray offers a new approach for the prevention of an anxiety attack. Marco Battaglia, Child Youth and Emerging Adult Programme, Centre for Addiction & Mental Health (CAMH), Canada, and colleagues hypothesized that the acid-sensing ion channel inhibitor amiloride can modulate repeated cross-fostering animals’ exaggerated responses to carbon dioxide and nociceptive thermal stimulation, a trait marker of specific human anxiety disorders such as, most clearly and prominently, panic disorder. “Inhaled amiloride may prove to have benefits for panic disorder, which is typically characterized by spells of shortness of breath and fear when people feel anxiety levels rising,” says Dr. Battaglia. Amiloride was inhaled so that it could immediately access the brain. The study showed that it reduced the physical respiratory signs of anxiety and pain in a preclinical model of illness. This therapeutic effect didn’t occur when amiloride was administered in the body, as it didn’t cross the blood-brain barrier and did not reach the brain. The study is based on years of research into how a person’s early life experiences affect their genes, says Dr. Battaglia. Childhood adversity, such as loss or separation from parents, increases the risk of anxiety disorders and pain, among other health issues. At a molecular level, these negative life experiences are linked to changes in some genes of the ASIC (acid-sensing-ion-channels) family. While the DNA itself doesn’t change, the way it functions is affected. DNA is converted into working proteins through a process called gene expression. As a result of childhood adversity, some ASIC genes showed increased expression and epigenomic changes. (“Epigenomic” refers to changes in gene regulation that can be inherited by children). Overlapping genetic changes were also seen in blood taken from twins who responded to specific tests designed to provoke panic. These genetic changes are linked to physical symptoms. Breathing can be affected, due to over-sensitivity to higher carbon dioxide levels in the air. In such situations, a person might hyperventilate and experience growing anxiety. Preclinical and human data are strikingly similar in this regard. “As a treatment, amiloride turned out to be very effective preclinically,” says Dr. Battaglia. The next step in his research is to test whether it eases anxiety symptoms.